Drivers have long enjoyed the benefits of GPS navigation systems in their cars. However, transit riders are not so lucky. While trip planning tools, such as Google Transit, do an adequate job of planning a trip some time into the future, they do a relatively poor job of providing 'navigation support' in the sense that the GPS navigator in your car does. Unaided transit navigation is a lot harder than street navigation: while heading in the general direction of your destination is bound to get you there by car, the same is not at all true for transit. Fixed routes, infrequent schedules and frequent departures from said schedules all conspire to make the life of a transit rider difficult. Since 2009, the BITS laboratory at UIC has been developing TransitGenie, a context-aware, real-time transit navigation system. TransitGenie makes route recommendations based the real-time locations of tracked buses and trains, as well as the current location of the user, dramatically improving the accuracy of our recommendations vs. the current state of the art. TransitGenie is currently available for free download from the iTunes App store, and has so far received over 40,000 downloads. Dr. Eriksson will discuss some of the challenges faced in developing TransitGenie, the design and motivation behind the system, their experiences interacting with transit riders and transit agencies over the past year, and upcoming developments. 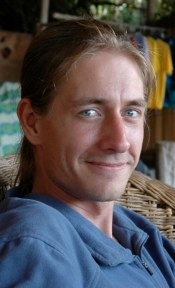 Dr. Jakob Eriksson is an assistant professor at the University of Illinois at Chicago. Prior to joining UIC in 2009, he spent two years at MIT as a postdoctoral associate, and received his Ph.D. at the University of California, Riverside. His research interests include a variety of topics in computational transportation and networked systems, including mobile wireless networking, participatory vehicular sensing, and multi-modal navigation systems.